The other week, I had finally given up on trying to tolerate the bumpy ride every time I rolled over small cracks and pot-holes along the highway. It seemed as if I could feel every inch of uneven ground in every street. 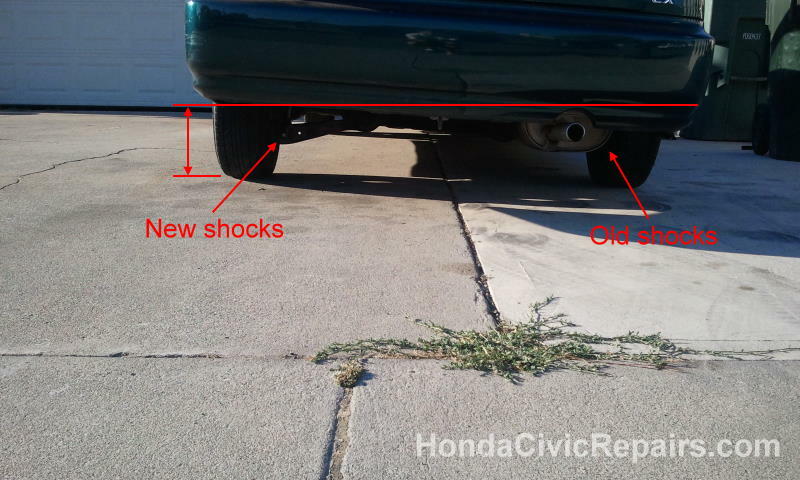 The adjustable modes from hard to soft on my performance shocks just couldn't help me anymore either. Needless to say, it became a painful experience for my rear end everywhere I drove. So, finally I did a little research and decided to take on the task of replacing both front and rear shocks for the first time. Rather than keeping the original springs and having to take the extra time to take apart the whole assembly shocks and buying additional tools, I decided to just buy the complete shock assembly for convenience and safety. The ability to push, adjust, and hold heavy metal frames in steady positions are necessary to accomplish this task. 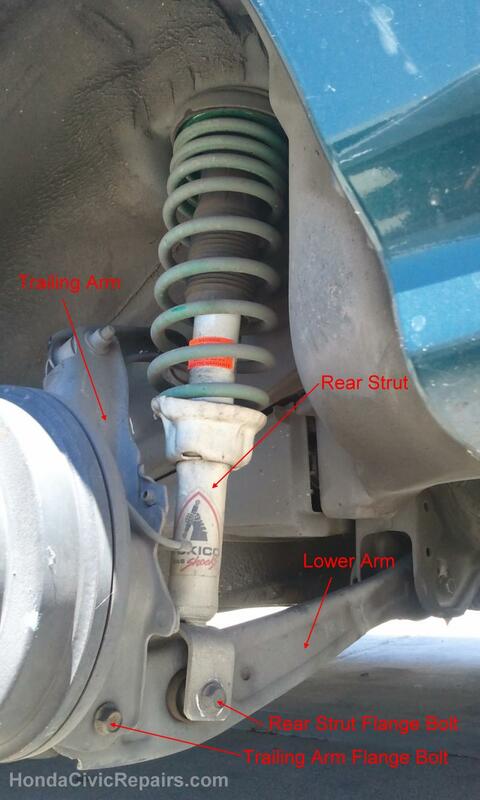 A jack can be useful when lifting power is required but the opposite force of direction is also often necessary. Fortunately, Irwin makes a great 12" clamping tool called the quick-grip SL300 that can be used for more than just squeezing and holding parts together but can also be reversed to provide a pushing-apart functionality. This worked great when I needed to hold the rear wheel assembly down while I used a regular jack for opposite resistance. This job would have been painless and easy to complete, but the most difficult job was always the challenge of returning the long flange bolts through the rear frames. But using a steel rod and a hammer helped to remove the long bolts and assisted in aligning the entry holes for the bolts. And another thing I learned was not to hammer and force the bolts out after it cleared the threads. Otherwise, I risked damaging the threads on the bolt. 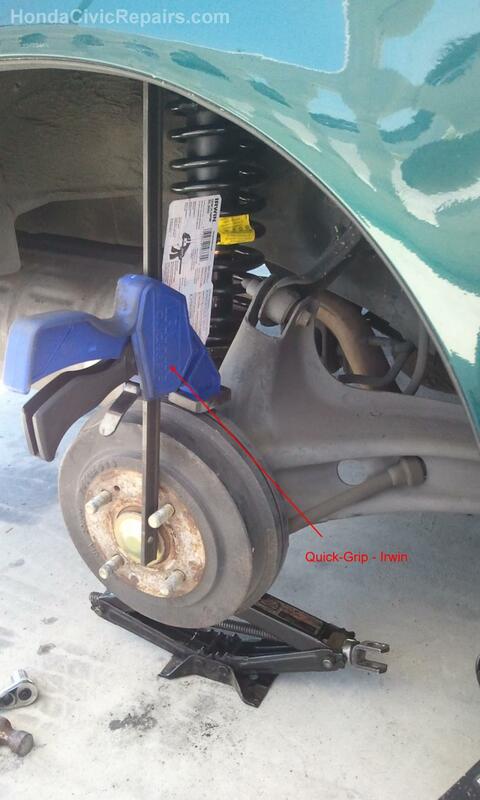 It's important to adjust the alignment of the holes accordingly to reduce the uneven pressure of weight and allow the bolt to fit easily through. 4. Removed the Brake Line Support bolt. 8. Took note of the direction and position of old Strut and removed the old Strut from the Damper Fork. 9. 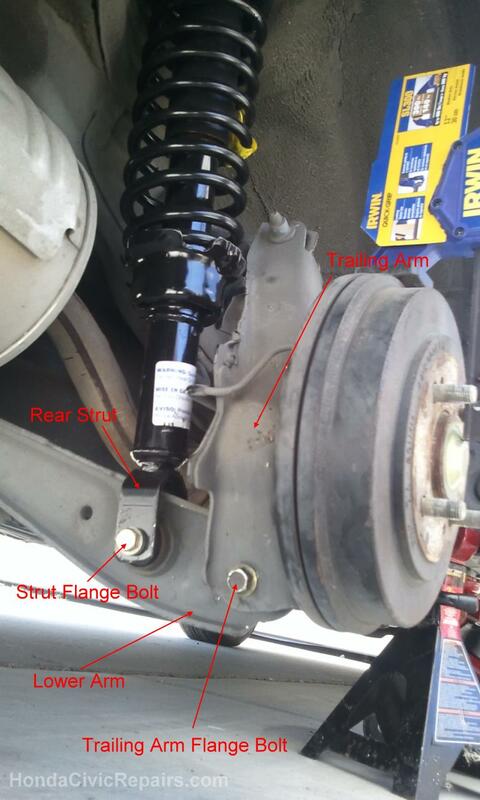 Removed the Old Strut and replaced with new Strut in the same position. 10. Tightened the Damper Pinch Bolt according to specs. 11. Tightened the top Strut bolts according to specs. 12. Used the Irwin Quick-Grip and a jack to align the hole for the Damper Fork bolt. 13. Tightened the Damper Fork Bolt according to specs. 14. Tightened the Brake Line Support bolt according to specs. 15. Returned the wheel and secured with lug nuts (80 lbs.ft). 16. Lowered the car back down. 2. Lifted the rear end of the car until the wheel was off the ground. Used a jack and jackstands to secure the car. Placed a block of wood behind the other rear wheels for added security. 5. 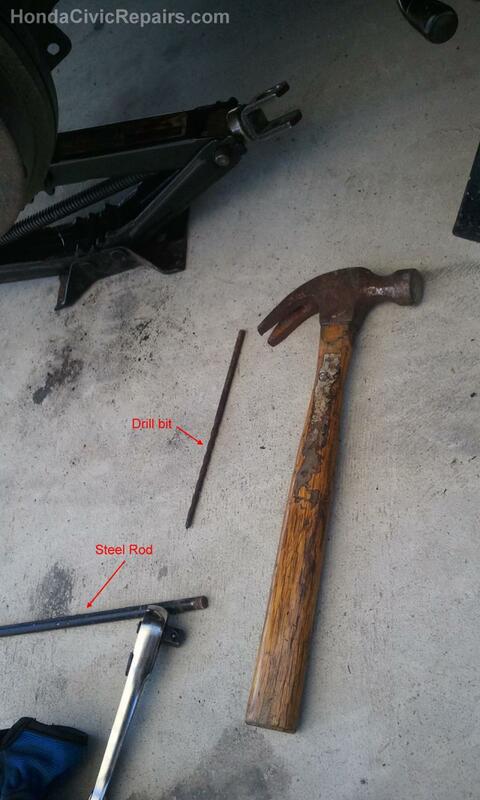 Removed the Trailer Arm Bolt. 7. 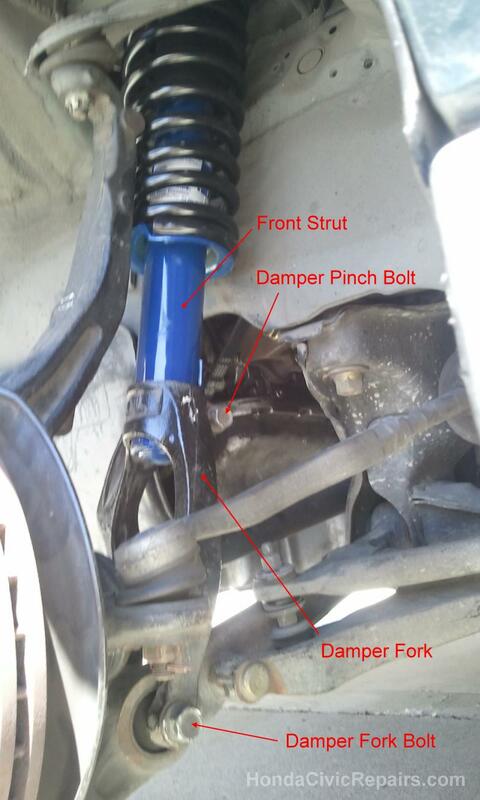 Took note of the direction and position of old Strut and removed the old strut from the Damper Fork. 8. Removed the Old Strut and replaced with new Strut in the same position. 9. Tightened the top Strut bolts according to specs. 10. Used the Irwin Quick-Grip and a jack to align the hole for the Strut bolt. 11. 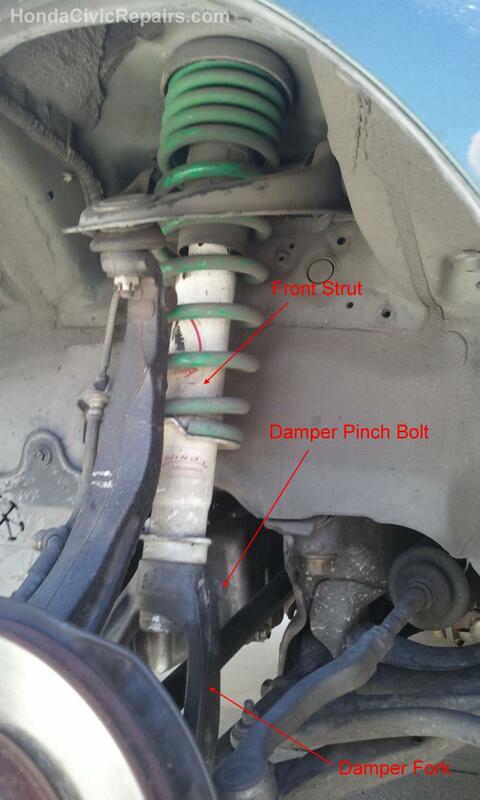 Tightened the Rear Strut Bolt according to specs. 12. Aligned the hole for the Trailing Arm bolt. 13. Tightened the Trailing Arm bolt according to specs. 14. Returned the wheel and secured with lug nuts (80 lbs.ft). 15. Lowered the car back down.